One of the biggest sources of confusion for homebuyers and refinancers alike is how an escrow (impound) account is calculated and how it affects the bottom line at closing. First, let’s clarify the terminology used. The differences in language are mostly geographic. Some states use the word “escrows”, while others use the term “impounds”. These are exactly the same thing and those words will be used interchangeably throughout this article. The first thing to note and emphasize is that money going into an impound account is not a cost of doing the loan. It is your money. It will be used to pay your property taxes and your insurance. At the conclusion of the loan, whether you refinanced or sold the property, you get any money left in the account back. The lender is required to send you the check within sixty days of loan payoff. Although the impound account is designed to protect the lender, it can also be beneficial for the borrower. By paying for big-ticket housing expenses gradually throughout the year, borrowers avoid the sticker shock of paying large bills once or twice a year and are assured that the money to pay those bills will be there when they need it. For low down payment borrowers, an escrow account is usually not optional. 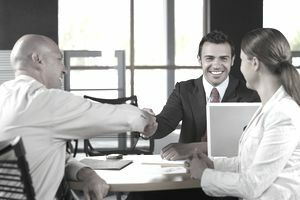 Since low down payment borrowers are considered to be a higher risk due to their lower personal stake in the property, lenders want some level of assurance that the state will not seize the property because of non-payment of property taxes, and that borrowers won't be without homeowners insurance in the event that the property is damaged. In other words, if you are putting less than 20% down you can expect to be required by your mortgage lender to have an escrow account. Prepaids are expenses or items that the homebuyer pays at closing before they are technically due. They are necessary to create an escrow account or to adjust the seller's existing escrow account. An impound account (also called an escrow account, depending on where you live) is simply an account maintained by the mortgage company to collect insurance and tax payments that are necessary for you to keep your home but are not technically part of the mortgage. The lender divides the annual cost of each type of insurance into a monthly amount and adds it to your mortgage payment. Your escrow deposit will vary based on the time of year in which you close your loan in comparison to the month in which your property taxes are due. If you closed on a loan in February, you wouldn't make your first payment on that loan until April first. If your property taxes are due in January they will have just been paid. This means that your initial escrow deposit will be small. Your lender has plenty of time to collect escrows prior to the next disbursement. On a $500k property, that's about $2000 for property taxes even in a basic tax zone, and if your insurance is $1200 per year, you'll have to come up with another $400 for that $2400 into the impound account. Your homeowners insurance is always paid in full plus two months if you are purchasing a home. Using the same $500,000 loan amount, suppose you were closing on a refinance in October. You originally bought in February. You are only going to make two payments (December and January) before the insurance is due, so your impound total for the insurance alone $1000 for insurance. You are going to have to come up with $3000 to pay the first half of your property taxes, plus because you only have two payments before the second half is due, another $3000, or six months payments for that. Total due, $7000. The cash amount that fixed-rate borrowers think of as their monthly payment is still subject to change – this is one of the biggest issues with impound accounts. Since homeowners insurance and property taxes are subject to change, monthly payment amounts can fluctuate. For many homeowners, mortgage impounds are a necessary evil. Without them, lenders might not be willing to give mortgages to borrowers with low down payments. Can I Use a Cash Gift to Qualify for a Mortgage?